Posted on March 30, 2014 Categories TeachingTags army, belief, doctrine, Listening, music, salvation, salvation army, teaching, transMission, truth, we believe2 Comments on We Believe: Day 1 – Who Are You Listening To? Our church has daily Bible readings during Advent and today’s reading was Psalm 27:1-4. David shares about a very challenging time in his life. He speaks of the wicked advancing against him (v. 2) who wish to consume him. He tells of an army (v. 3) which surrounds and besieges him. He even refers to all-out war against him. Obviously, David was not having a good day, but he was! He only asks God for one things during this time of testing, He says that there is only One Thing I Seek. 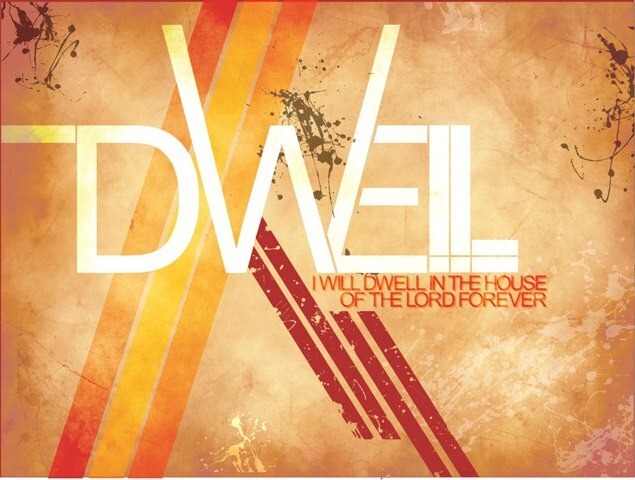 He wants to dwell in God’s house, gaze on the beauty, and seek Him. He does not ask for defenders and revenge on his enemies. He does not even ask for deliverance from his trials. He asks to dwell, look, and seek. These are all very passive stances for a man of action, such as David, to take. Instead of rushing into battle, David wants to stay, look, and watch for God. I am reminded of how quick I am to immediately ask for God to take things off of me. I am one of the first to cry “holy foul” when things do not go my way. Perhaps, my life could be fuller and more complete, if, during my toughest moments, I would stay, look, and watch for what God is doing in me and in my situation. Before we get started, I need to do a shameless plug for the album that these devotionals are based on. It is now available on CD baby here. I have not been asked to endorse it and receive no compensation for mentioning it, but it is really an amazing album! Support the work and ministry of The Salvation Army by buying one today! Play track 5 of “Majestic” entitled “Go.” You can stream it live here. Can anyone remember their first experience driving? The feel of the steering wheel and the roar of the engine (I was in a mini-van, so it was more of a purr) were intoxicating. I knew at that instant that my world had been changed. My boundaries had been expanded. I could go further. Do more! See more! It was my first taste of true freedom! And, oh, was I careful in those days! I checked the tires, the mirrors, the seat belt, the gas tank, the turn signals! I had my hands at “10 and 2.” You know what I am talking about! I was ready to take on the world! I adjusted my mirrors one last time. I check my hand position. I looked both ways. I smoothly accelerated the car and… Nothing! The car revved up! I went nowhere! I rechecked the gauges. I made sure that I had fuel in the tank. I was perfectly positioned to drive. I touched the accelerator and engine responded, but nothing! Yes, you guessed it. I still had it in “park.” Stupid letter if you ask me! In Matthew 14:22-33, we find the disciples have already launched out from the shore and are a good distance away. The boat began to have trouble. Scripture says that Jesus “came toward them, walking on the water” (vs. 25). Not only did He simply walk out on the water, but He did it at 3am! I can’t navigate my own house at 3am, much less walk on water! I usually save that until after I have had some caffeine. We see that the disciples were “terrified” (v. 26). They thought He was a ghost! After Jesus talks to them and calms them down, Peter calls out, “Lord, if it’s really you, tell me to come to you, walking on the water” (v. 28). And, we have heard many stories about Peter trying, failing, trying, succeeding! We know we are supposed to keep our eyes on Jesus! I am not thinking about Peter today! I want to know about the rest of the disciples. Out on the risky waters of faith, Jesus is waiting to meet you in ways that will change you forever, deepening your character and your trust in God. The experience is terrifying. It’s thrilling beyond belief. It’s everything you’d expect of someone worthy to be called Lord. The choice is yours to know him as only a water-walker can, aligning yourself with God’s purpose for your life in the process. There’s just one requirement: If You Want to Walk on Water, You’ve Got to Get Out of the Boat. There may be many reason why we do not want to get out of the boat. Maybe, we are too busy preparing to go that we don’t go! Maybe, we fear the unknown! Maybe, we are concerned about what other people might think or say about us! Maybe, we have never done it like this before! If we want to GO and “tell every soul, the lost and the dying that He is alive and we have hope”, then we have to get out of the boat. We have to move our car out of park, and into drive. and that “itʼs time we do whatʼs written in Godʼs word”, then we have to get out of the boat. We have to move our car out of park, and into drive. Play track 4 of “Majestic” entitled “Melody of Love.” You can stream it live here. I have heard people say that they prefer to give gifts than to receive them. I hear stories about the looks on people’s faces and the joy that it brings them. I may be the only person to admit this but I like getting presents. I like the look in my own eyes and I like the joy it brings me! Don’t get me wrong! I enjoy giving gifts, but I like getting them as well. What I don’t like doing is telling people what I want! It makes me feel weird. This puts me in a difficult position. I like getting presents, but I do not like telling people what I want. So, guess what I want already! My wife says that I am difficult to buy things for. She is probably right. If I can be honest with you, one of the reasons that I cannot tell people what I want is because I usually do not know myself! I do not have a list of things I want or need running through my head. I am horrible when I go shopping! I look at something and if I need it I’ll get it. If I don’t, I sometimes get it just in case I might need it. You could almost say that I do not know what I need or what is best for me. 1 Corinthians 12:7 – A spiritual gift is given to each of us so we can help each other. Scripture tells us that God has given everyone a gift(s). He decides what gifts he gives to what people. The important thing to remember is that our gifts were given to help each other. Our lives should “sing out” with our gifts. When our gifts are used together, we hear “Heaven’s harmony” that was “sent from above”. Since we are given a specific gift, we are meant to depend on each other, to work with each other. Let’s face it! The world would be a very boring place if everyone was like me. It would be a very good-looking place, but boring nonetheless. Soloists are great, but give me a choir any day. Everyone loves a hero, but what the world needs is a team, the body of Christ supporting each other with their gifts for the benefit of all! The true gift from God is not the gifts that He has given us, as great as they are. The true gift from God is our ability to work together to further His kingdom. So, with your life, will you join me in singing the melody of love? Will You Catch Me, Daddy? Play track 3 of “Majestic” entitled “Majestic.” You can stream it live here. Being the father of four sons provides life with many challenges, opportunities, and blessings. Being the oldest “guy” in my house means I get to be the builder, the holder, the spotter, the thrower, the pusher, the puller, the carrier, the cleaner, and lately, the catcher. My sons have found that jumping off of things is just about the most fun in the whole, wide world. From beds to couches to chairs to shelves to cars, and even occasionally, the cat, our boys will jump from it. In the pool, one of the favorite games is jumping into the pool from the side. They do cannonballs. They do belly flops. I can even get the occasional “can opener” from the oldest. My sons jump into my arms because they trust me. They know I am strong enough to catch them and hold them. They know that I will not drop them. Of course, there is always the possibility that I might drop them, but they know with me that it is a small possibility. We all have a need for security, for safety. We all need someone we can depend on. What do you think the possibility that God will drop us? Jeremiah 32:17 NLT – O Sovereign Lord! You made the heavens and earth by your strong hand and powerful arm. Nothing is too hard for you! “Majestic” is the title cut from this album. 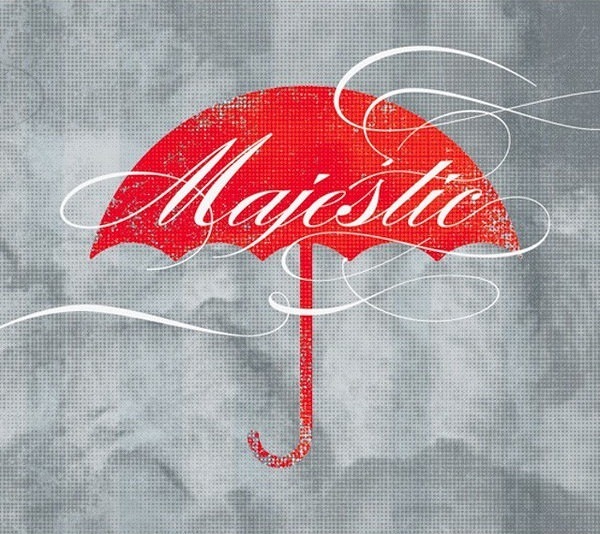 “Majestic” is a beautiful number with great lyrics. Compared to some of the other tracks from the album, the melody begins rather simply. It has a a very gentle quality which allows the strength of the lyric to come through. Will you catch us, Daddy? Yes, my son or daughter, I will! Play track 2 of “Majestic” entitled “Awake.” You can stream it live here. It is the thing I dread in the morning. I often plan its’ destruction. I imagine its’ demise in many graphic ways. What weapon will I use? Will it be Col. Mustard in my bedroom with the lead pipe? I have grown to loathe it. I can only imagine a perfect world without its’ existence. What is my morning nemesis? What is it that fills me with dread? It is my…(pause for effect)…my alarm clock. You know what I am talking about! Whether it buzzes, clangs, beeps, chirps, or hums a merry tune, I do not want to get out of bed! I am perfectly happy and content where I am! Does this machine not understand that the world is cold and cruel, but I am in a safe, warm place? Why do you think babies cry when they are born? Going from safety to reality is disturbing. At 30 minutes before wake-up, the clock’s light begins to glow softly, brightening over the next half-hour. The warmth from the lamp releases faint aromatherapy scents into the air to stimulate the olfactory senses. Fifteen minutes before wake-up, the clock generates your choice of six soft nature sounds, such as ocean surf or songbirds. A beeper sounds at the end of the cycle. Do you see how sneaky and underhanded this is? Back to reality…by now, you have heard the opening moments of “Awake.” You have heard the opening “club” feeling of the synthesizer. You have heard the bass drum and lower toms enter. You hear layer after layer of sound being added to the mix. Slowly, we are building and building towards a climax. The introductory bars come crashing in to startle us with the power and energy. We know and feel like we are moving towards something. Awake, awake! Fling off the night! The truth about our own lives is that we need to “put our evil works away” and “let in the light, all sin expose.” We need to look inward and see that the “light of life in us must glow.” Like an alarm clock dispelling quiet and sleep, the “light” of God has come to “conquer death and night.” We must wake up and move in holiness towards our example, Christ. I can hear what you are thinking. Why would I want to wake up? The real world is cold and painful. I can get hurt or hurt others. We have to wake up because there are people around us who are dying, a whole generation of people drowning in “status quo”, “culture”, “apathy”, and whatever else was popular yesterday. Holiness means to stand clear of those distractions, not to stand away from. We must be willing to immerse ourselves in people, but not their distractions. Awake my soul and sing, awake my soul and sing, awake my soul and sing!